During Dennis and Emily’s engagement session I quickly realized that they were laid back and up for an adventure. From that day on, I couldn’t wait for their wedding. The day finally arrived, YAY! Emily and Dennis chose to do a first look and to make it extra special they did it downtown, just steps from their front door. I loved that we had some time alone with them to walk around before jumping into the hustle and bustle of the day. This time of year in Colorado the afternoons can be full of thunderstorms and cloudy skies. I kept my fingers crossed for a blue sky kind of day for Emily and Dennis. Thankfully that is exactly what we got for their ceremony and reception at Hudson Gardens. They had one of their good friends officiate the wedding, he added a lot of personal touches to the ceremony. You could not only see them glowing, you could feel it. The day was perfect, in fact, it was so perfect that a couple decided to crash their wedding. They were there during cocktail hour, respectfully left during dinner and then came back for the reception. It turns out they were pretty delightful wedding crashers leaving a sweet note and gift for the bride and groom! 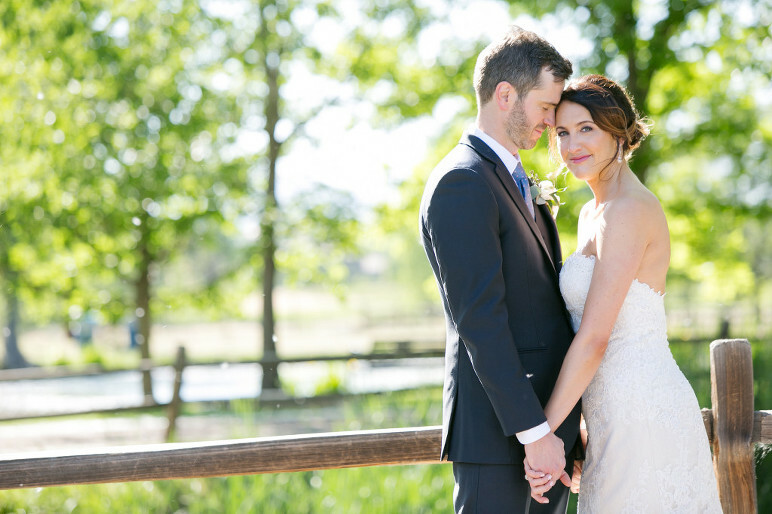 To view more of my photography, please visit my Denver, Colorado Wedding Photographer website.